Are you ready to wow your friends or relatives this holiday season with your recipes or does the thought of hosting anything make you want to hide in your pantry? Well if you are not ready, or are looking for more ideas or inspiration, you should check out the Macy's Culinary Council for upcoming chef demonstrations in your area. If you are in the Bay Area, you are in luck because there is an event happening next week! 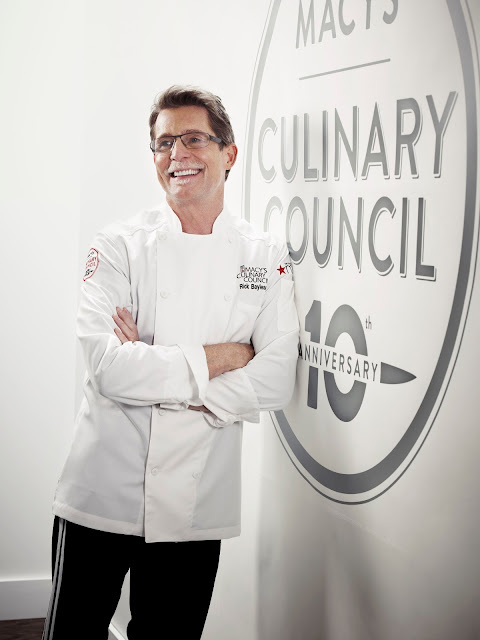 Chef Rick Bayless will be teaching you how to impress your friends with tips and trick on November 19, 2015, at 6:30PM at the Macy's in Walnut Creek, CA. He'll be sharing tips on how to prepare his favorite award-winning dishes from his cookbooks and there will be plenty of delicious samples to enjoy! If you happen to spend more than $35 in the Home Department, you will receive a $10 Macy's gift card, and a copy of Rick's cookbook Frontera or Everyday Mexican**, which he'll sign for you after the event! Seating is first come, first served, so make sure to get there early. Hopefully, I'll see you there enjoying some of the tasty dishes.